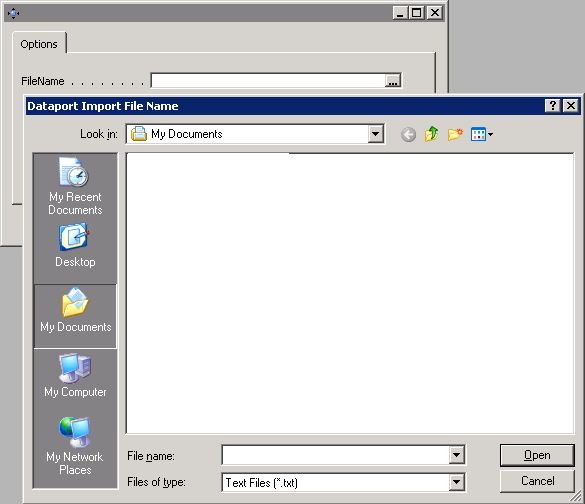 How do I: Select a Filename in a Dataport? No problem, I created it and to make it flexible for the user I added some textboxes with lookups on the request form of the Dataport. But then suddenly, when I ran the Dataport, I was no longer able to select the file name. No worries, there’s a little trick I remembered. What you need to do is create a text box on the request page, and link it to a text variable via the SourceExpr. without the need for any ‘special’ programming. How Do I: Develop an Extension in Business Central On Premises? How Do I: Install Dynamics 365 Business Central On Premises? How Do I: Add fields to a Report in Business Central? Where's Power BI in Excel 2016? What is my build no in Business Central? How Do I: Set the runtime version of the extension package? Simone Colombo on How Do I: Enable Personalization in Business Central On Premises? srenders on How Do I: Add fields to a Report in Business Central? Drew K on How Do I: Add fields to a Report in Business Central?